Samuel Davis, Jr., Lake Apopka Natural Gas District, FL. Samuel Davis, Jr. has a Bachelor of Science in Mechanical Engineering from Southern University in Baton Rouge, Louisiana. He formerly worked as a Professional Engineer, in the State of Texas; and, has Certified Public Management designation from the Florida Center for Public Management at Florida State University. He began his career in the natural gas industry with Transcontinental Gas Pipeline Company in Houston, Texas, and then went on to work for United Gas Pipeline Company, Gulf Interstate Engineering Company and Bechtel Corporation. Mr. Davis moved to Florida in the mid-eighties, where he served for twenty-four years in Tallahassee, as General Manager of Gas Utility. During that period, he served two terms as an advisor member on the Federal Department of Transportation Pipeline Safety Standards Committee. In 2008, he was appointed as General Manger & Chief Executive Officer of Lake Apopka Natural Gas District (LANGD) in Winter Garden, FL. 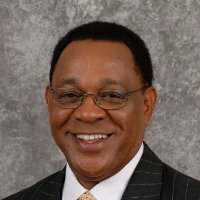 He is also civically active in the West Orange County Florida Community, where he is a Graduate of Leadership West Orange and currently serves on the boards of Orlando Health Central Hospital, McCoy Federal Credit Union and HAPCO Music Foundation. His professional affiliations include: American Public Gas Association, Florida Natural Gas Association, Florida Municipal Natural Gas Association, and Florida Society of Certified Public Managers. He is married and resides in Ocoee, FL.